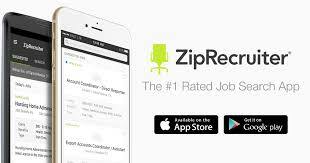 How would you rate your experience with ZipRecruiter ? 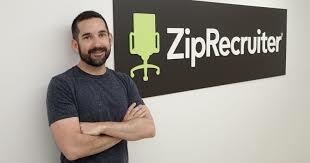 ZipRecruiter was founded by Ian Siegel, Will Redd, Joe Edmo, ds and Ward Poulos over a coffee table in 2010. The original plan was to help businesses find employees, but this has changed to include helping potential employees seek out new opportunities. The company is an online and mobile job recruitment site which matches employers and job seekers. While the concept isn’t new, the platform has features other sites don’t, such as rewriting job listings to ensure companies reach the maximum number of applicants who might be interested, as well as a larger focus on the mobile app. The company won’t release exact figures, but in 2016, it states that revenue was in excess of $140 million, an increase of 270% since 2013. Online job services has become a huge market. People no longer comb through newspapers or company websites seeking jobs, they want to use their mobile phone or find a site which is tailored to job seekers. While Linkedin does post jobs, most people see it as more of a networking site, not necessarily where employers would go to look for employees. ZipRecruiter does not charge job seekers but charges businesses $249 to post listings. The company is backed mostly by Institutional Venture Partners, which has invested $63 million. In June 2018, the company moved their main office to a larger building due to a tremendous increase in business. Company headquarters are still located in what is now called the Silicon Beach city of Santa Monica, California. Question 1: What is the phone number for ZipRecruiter? Answer 1: The phone number for ZipRecruiter is (877) 252-1062. Question 2: Who is the CEO of ZipRecruiter? Answer 2: The CEO of ZipRecruiter is Ian Siegel. Question 3: Who founded ZipRecruiter? Answer 3: ZipRecruiter was founded by Ian Siegel, Joe Edmonds, Ward Poulos, & Will Redd in 2010. You seem to have no customer service. The phone number is disconnected and no one answers the help center email. I am just referred back to the useless self help. Please call me I can’t change my old resume. Want to make sure ZipRecruiter sees your comment or complaint?